Tweet of the Week. Dad must be a producer or director. They get confused by the same look. "Editing," right. Most Helpful. Sadly this GREAT tip will be obsolete when the new Premiere Pro arrives. She's not a one-editor NLE. @katestark Mr Pro X is a lucky man. Even my girlfriend Premiere Pro is jealous! Most Thought Provoking. Edit like a gamer. Get custom with keyboard/controller shortcuts! I've mapped my xbox controller for use with Premiere Pro and it makes me so happy. Best Use of Render Time. I remember that spot; I put up 185lbs during that render. @AdobePremiere. Not to be confused with his NAB 2015 talk shared last week; this is a real heart to heart with Freddie Wong, co-founder of RocketJump. A great 4-minute interview in which Freddie discusses his YouTube background and the new expectations on modern editors (2:42). Senior Post knows video. This Adobe blog post spotlights an awesome Creative Cloud based company that really knows how to be innovative with video. Just read how they invest in their employees. You'll want to apply before the end of the article. @AdobeCCVideo. This is an older blog post that Adobe tweeted out again this week, and deserves to be featured here. If you're in the corporate video space, you need to know Phanta Media. 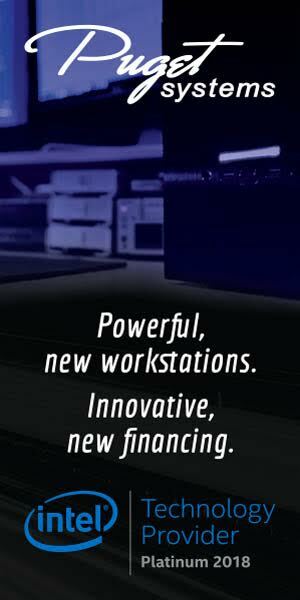 Their passion and ownership of high quality corporate video is inspirational. They set the bar for corporate video production.